Personal and tailored. Your Instructor will chat to you about what you want to achieve and help you accomplish your goal. Whether that be long smooth carves, short snappy turns or just getting some confidence back on the slopes. Fun and sociable. Join one of our groups and push your skiing with friends. There is a varied programme including moguls, piste performance, and tactics for off piste and deep snow. If your skis aren’t properly tuned you won’t get the performance that you are capable of. 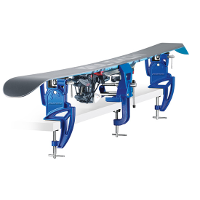 We run ski tuning workshops from the basics of waxing and edge sharpening, through wax selection, new ski preparation, and race preparation using the latest technology from Holmenkol. We work closely with Anything Technical in Kendal, the UK agents and trainers for Holmenkol and Wintersteiger. The beauty of the mountains has hidden dangers. Learn about snow, what happens when there is too much and where not to go. How to be safe off piste and the danger signs the professionals look for. Sharp edges, fast bases. Without them the excitement drifts away. 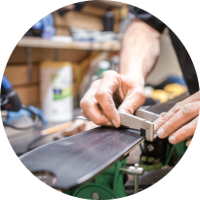 Our state of the art edging tools, high quality waxes from Holmenkol, Thermo-jomax hot box treatment and a loving hand finish keep your skis (or snowboard) in top condition. Spindrift Snowsports was set up by a couple of friends that met teaching at Chill Factore in Manchester. We have taught all over Europe and still continue to teach and coach on the UK’s premier real snow slope. Our Instructors are highly experienced BASI qualified instructors, many of which hold the level 3 qualification which is validated by ISIA as one of the highest qualifications in the world. If you’re interested or have a snow related question just drop us a line either by email or you can contact us via WhatsApp message on 07761209470. Lessons are booked by contacting us either by email or via WhatsApp. Let us know when you’d like to ski with one of the team and we’ll sort out the rest. Personal and tailored. 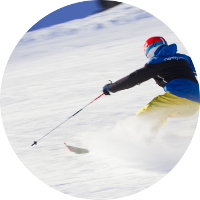 Over the course of the lesson you’ll work with the instructor to develop some drills and exercises that you can work on to make changes to your skiing. It’s great for a confidence boost or as part of a series of lessons. Personal and tailored. 3 hours gives us enough time to work on a couple of things in your ski technique. We can really focus on a couple of areas of improvement and work with you to build your understanding and technique. We take a short hydration break halfway through. Personal and tailored. All day, really focus on you. Ideally let us know in advance what you are looking for, this length of time means we can do multiple video sessions, really nail the drills and have plenty of time to consolidate the movements and techniques and understanding. The 6 hour session will include breaks for lunch and hydration. Our Manchester courses are inclusive of lift passes and coaching. To book on to a Spindrift lesson or course you must be of a standard to ski from the top of the main slope. This means that you should be happy turning on a blue run. If this is not you, we recommend that you learn with the Chill Factore Snowsports School. If you require accommodation Chill Factore is well located near the Trafford Centre with a Travel Lodge and Premier Inn next door, or stay in one of Manchester’s many amazing boutique hotels and take advantage of all the city has. If you have any questions, just drop us a line. 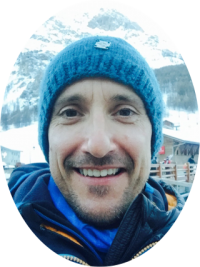 Si’s an ISIA Ski Teacher with coaching qualifications both in racing and freestyle and has also completed the teaching and European Mountain Safety award for the ISTD (BASI level 4). He has been teaching for more than 11 years. He also spent many years working in ski hardware retail and is a trained boot fitter and ski technician. He believes that skiing gets more fun the more you can do. Snowboarding is his second discipline. 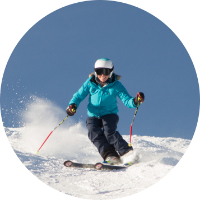 Rowena is an experienced ISIA Ski Teacher, Snowboard Instructor, and Alpine Race and Mogul Coach. 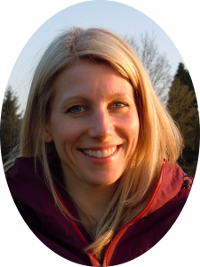 She is an Instructor at Chill Factore in Manchester and in the Alps. She first started skiing when she was ten and wanted to be a ski instructor immediately. She races slalom for MSR. She enjoys passing on her love of skiing and helping people to perfect their skills and have fun! 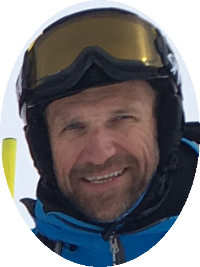 John has been teaching skiing for more than 15 years is ISIA qualified and has coaching qualifications in both racing and moguls. He has worked in Italy and Austria as well as America. 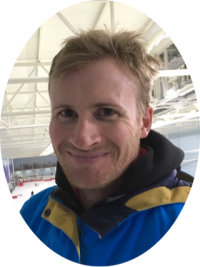 As a Ski Mentor for Chill Factore, he runs training sessions for instructors, helping them to achieve their own personal goals. He loves snowsports and passing on his knowledge and technical skills. Garry is a vastly experienced Skier and has a wide knowledge of all aspects of the sport. Having raced during the British inter forces championships in the 80’s, he decided to move into instructing and coaching first qualifying as an army ski instructor later going on to teach in Germany and France. 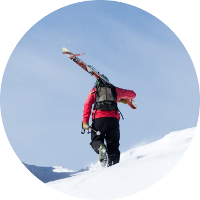 In 2013 he qualified as a “Ski Leader” with the Ski Club of Great Britain and is an expert in off piste skiing, having lead many successful adventures around Europe. Having your own boots and skis will help to improve your comfort and performance. We recommend you have appropriate protective equipment, a helmet is a good idea and essential for moguls (available free to hire at Chill Factore). You may also wish to wear a back protector for our moguls courses. It is possible to use the slopes rental equipment free of charge for any of our courses. The temperature in Chill Factore is just below freezing, around -2C to -4C and is a real snow environment. Waterproof ski clothing that you would wear on the mountain is highly recommended along with a few extra mid layers that can easily be removed or added as you need. Gloves should be both waterproof and warm and socks should be smooth, knee length and one pair only. You may want to wear goggles with clear lenses. How do I get to Chill Factore, Manchester? Chill Factore is located just off the M60 Manchester ring road J10, use the postcode M41 7JA for Sat-Nav. There is loads of free parking, but if you prefer to get the train you can get a taxi from Manchester Piccadilly train station, which takes 15-20 minutes and costs approximately £15. This contact form emails us directly. We will get back to you as soon as possible.